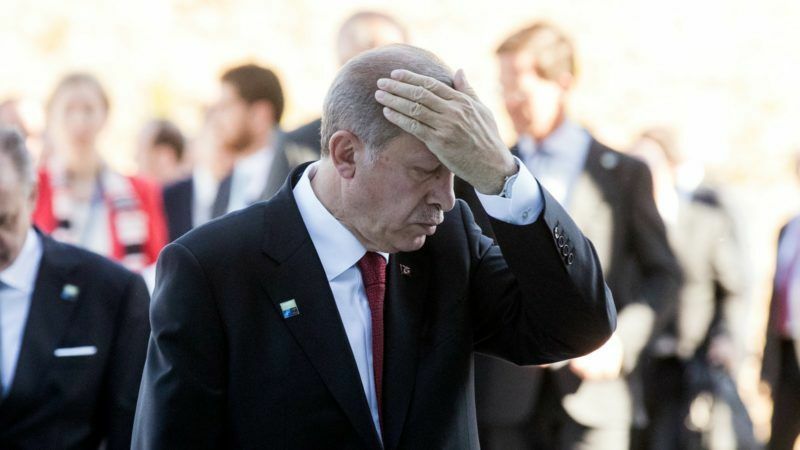 Turkish President Recep Tayyip Erdoğan told Angela Merkel of his displeasure over Germany’s reportedly giving asylum to troops accused of links to last year’s failed coup, he said in an interview published on Saturday (27 May). As he met the German chancellor on the sidelines of Thursday’s NATO summit in Brussels, Erdoğan said he raised the issue of “the putschist soldiers whose asylum applications have been accepted, and gave a firm reaction”. “We asked: ‘How can you do this? '” Erdoğan said, quoted by the Hürriyet newspaper. Since the attempted coup, dozens of Turkish diplomats and high-ranking officials have sought asylum in Germany as Ankara presses a crackdown on those suspected of links to US-based Muslim cleric Fethullah Gülen, whom it accuses of ordering the putsch. 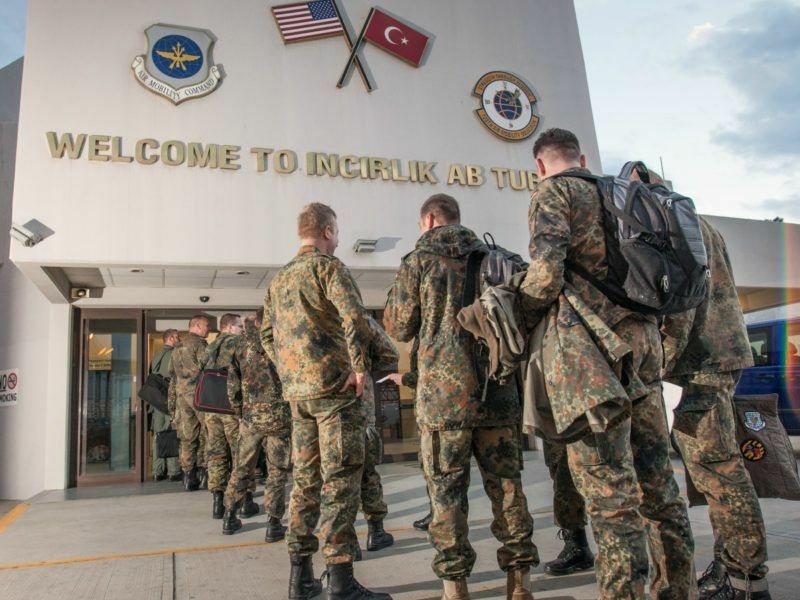 Earlier this month, German media reports said numerous Turkish military personnel and their families had been granted political asylum, prompting Ankara to accuse Berlin of “embracing a pro-coup mentality”. But Erdoğan said Merkel told him asylum approval “was not up to her”. 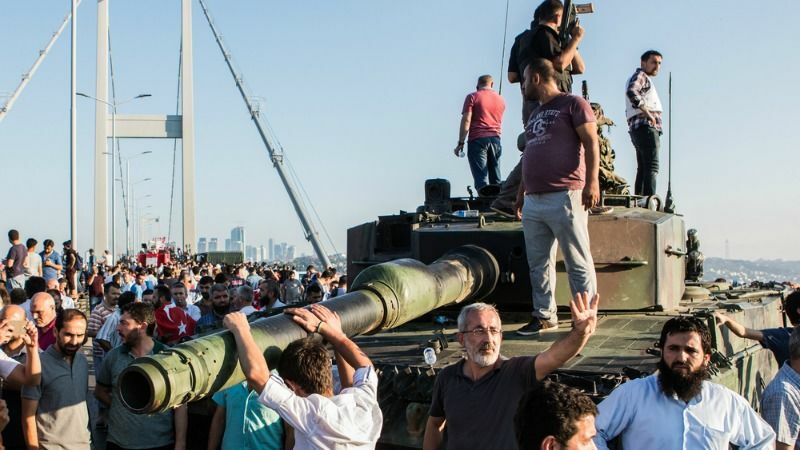 Ankara’s relations with the EU have been strained since the 15 July coup and have been further tested by a number of other issues, including last month’s referendum on expanding Erdoğan’s powers. When Turkish ministers were blocked from speaking at rallies in the Netherlands and Germany ahead of the 16 April vote, Erdoğan accused both countries of “Nazi practices”. Germany angrily warned Turkey yesterday (19 March) that President Recep Tayyip Erdoğan had gone too far after he accused Chancellor Angela Merkel of using “Nazi measures” in an escalating diplomatic feud. A further blow to relations was Ankara’s imprisonment in February of Deniz Yücel, a German-Turkish journalist with Die Welt, on terror charges. Angela Merkel has called the arrest of German-Turkish journalist Deniz Yücel “disappointing” but will still proceed cautiously in order to not jeopardise the EU-Turkey refugee deal. EURACTIV’s partner Der Tagesspiegel reports. EU Council President Donald Tusk and European Commission head Jean-Claude Juncker also met with Erdoğan ahead of the NATO summit in an effort to rebuild ties. Erdoğan was quoted as saying it was a “positive meeting for a new and positive momentum in Turkey’s EU membership process”. He said Brussels had presented Turkey with a 12-month timetable for improving relations, adding that Ankara would work with the bloc and “take steps” without giving detail. A European Commission spokesman said on Thursday that Turkey and the EU “must and will continue to cooperate”. Germany’s interior ministry said on Friday that 217 of the asylum applications came from Turks holding diplomatic passports, while another 220 were from people with passports issued to other government employees and their dependants. It is not known how many have been given asylum or how many are from the military. Erdoğan also said he discussed with Merkel the issue of German lawmakers wanting to visit the Incirlik military base near Syria. 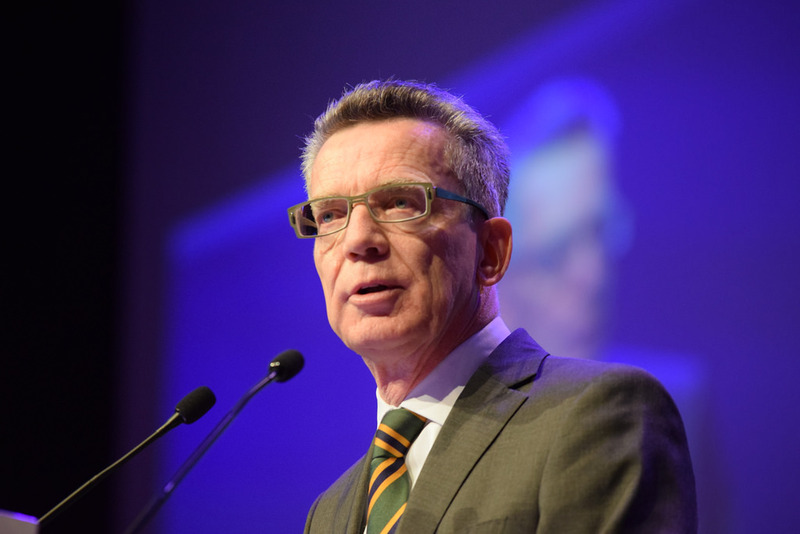 Ankara refused to allow German lawmakers to visit the base this month and Erdoğan said Turkey wanted a list of those who would visit because some MPs “openly support terrorists”. 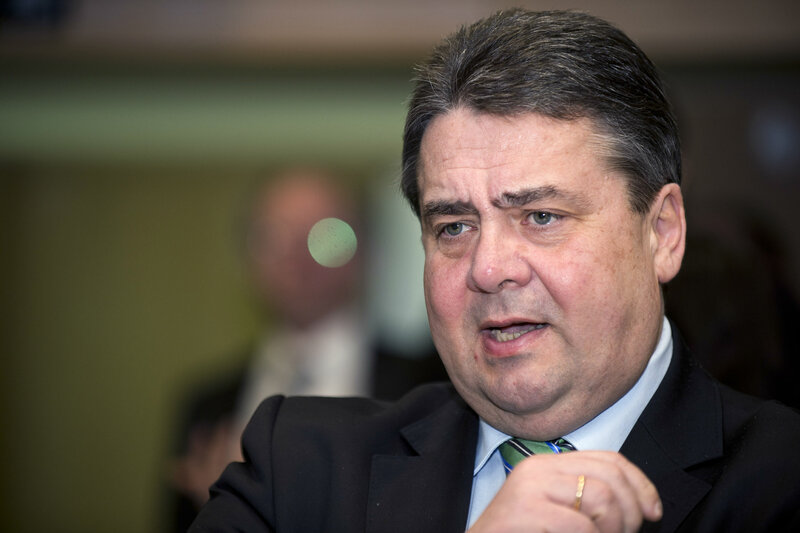 Germany’s Social Democrats raised pressure on conservative Chancellor Angela Merkel yesterday (21 May), saying if she could not resolve a row with Turkey over access to the Incirlik air base, German troops should move. The lawmakers called off their visit but not before Berlin warned it could move its 250 military personnel stationed at the base to another location in the region, most likely Jordan. The German forces at the base fly Tornado surveillance missions over Syria and refuel flights for partner nations battling the Islamic State jihadist group. 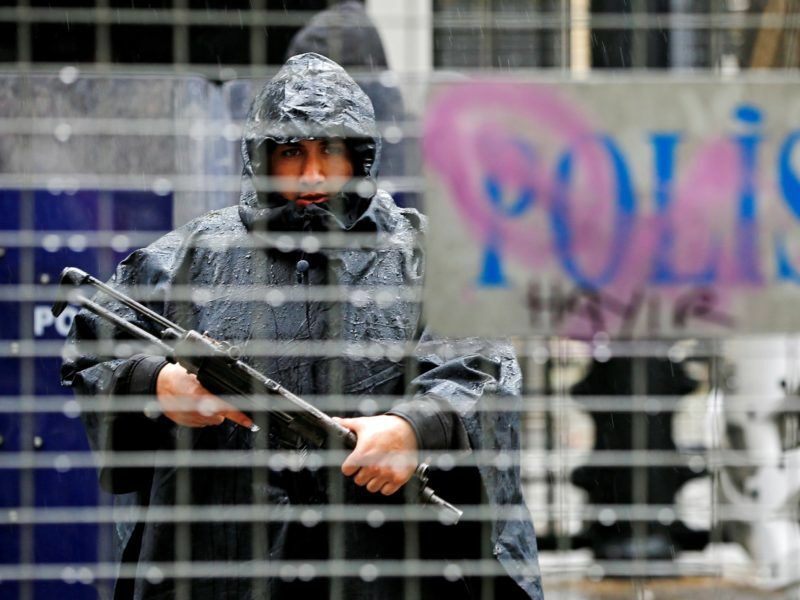 Since an attempted coup last summer apparently led by military officers, Erdogan has had the country living in a constant “state of emergency’ detaining, firing, and/or jailing close to 160,000 people. Anyone who disagrees with Erdogan is called either a Kurdish terrorist, a Gulenist terrorist, or a lackey of the West. Erdogan has recently called Netherlands and German officials “Nazis.” During the state of emergency while repressing opposition, Erdogan recently held a fraudulent referendum, granting himself one-man rule powers. Thus while Erdogan was a butcher and tyrant, he has become a butcher and dictator. The US has recently removed its nuclear weapons from the Incirlik Air Base, also drawing down its operations there. Turkey’s role in NATO is much less important than in 1952, when it joined. During the past two years Erdogan has increasingly isolated himself from everyone — the EU, US, even Russia is defending the Kurds in Afrin from Turkey. Does NATO want a dictator amongst their midst?